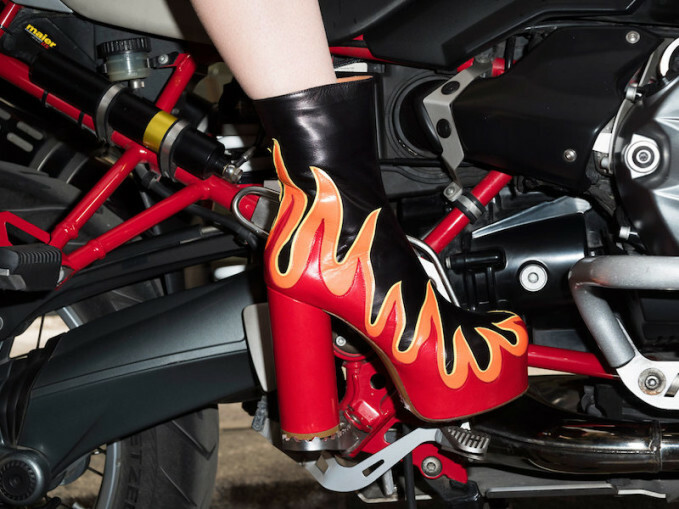 SSENSE teamed up with Vetements to launched a new icons: an exclusive flame boots, the Paris collective shows its slapstick side with an ode to glam rock. 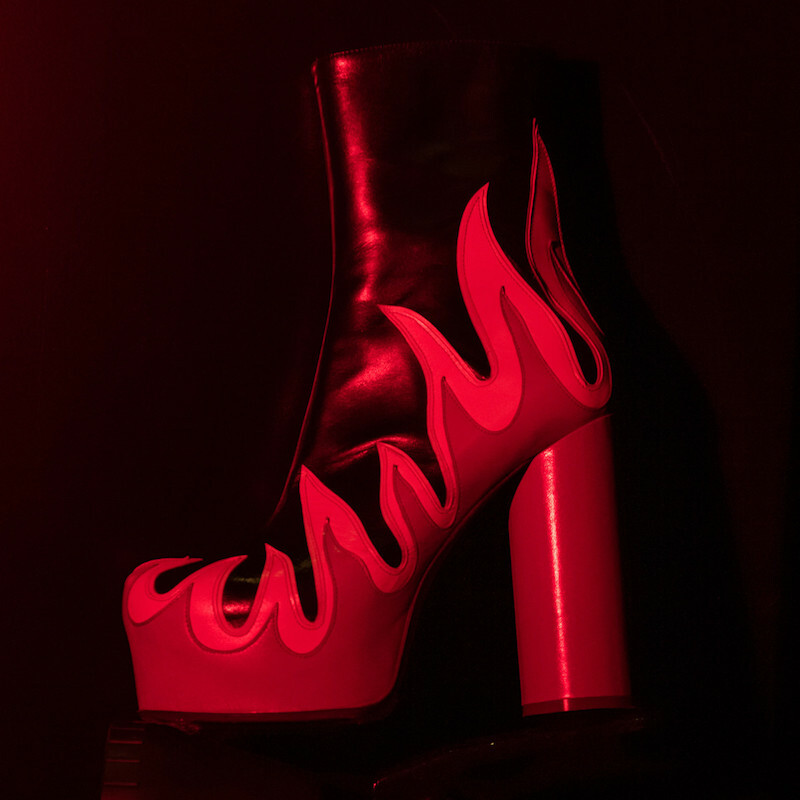 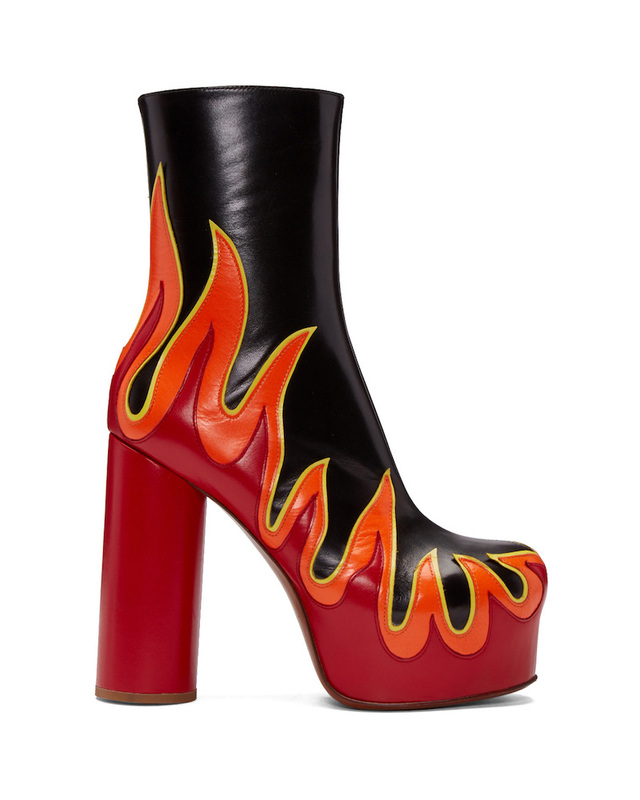 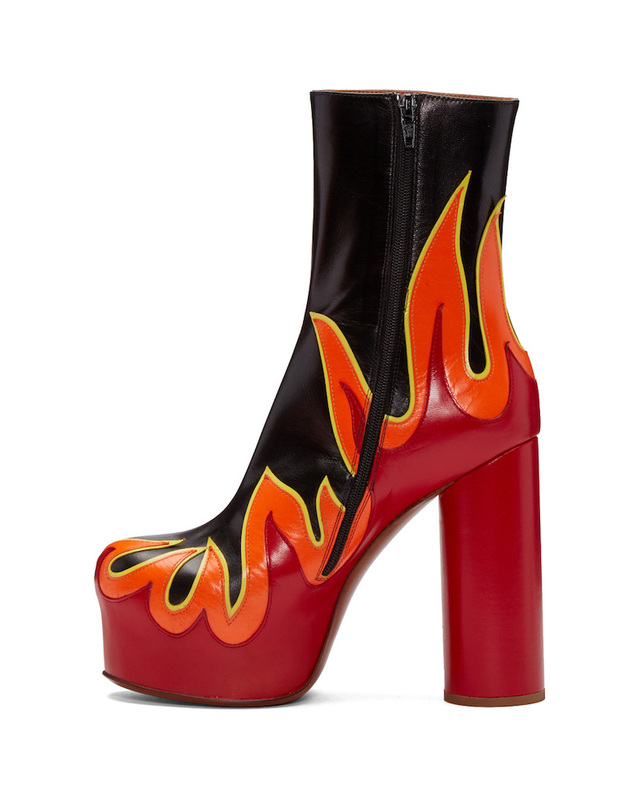 Vetements lifts his iconic rounded heel, finished with red, orange, and yellow leather appliqués, flames creep up from its soles, as though the wearer is walking on coals. 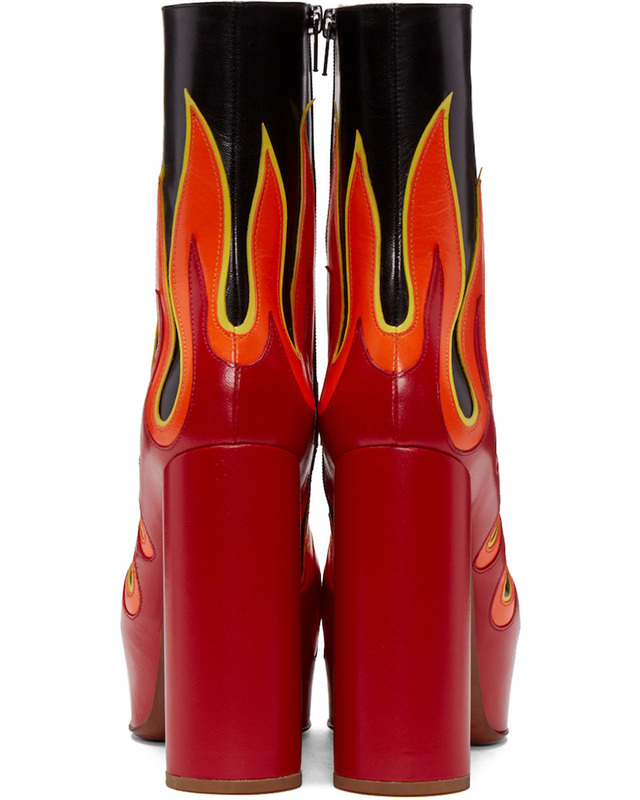 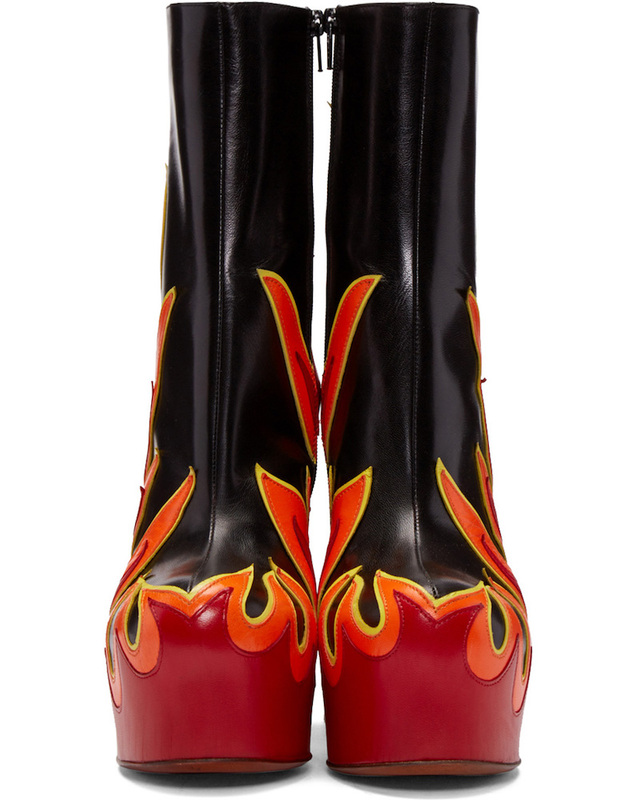 Shop Vetements Black & Red Leather Flame Boots exclusively at SSENSE.